Description: Engine Company No. 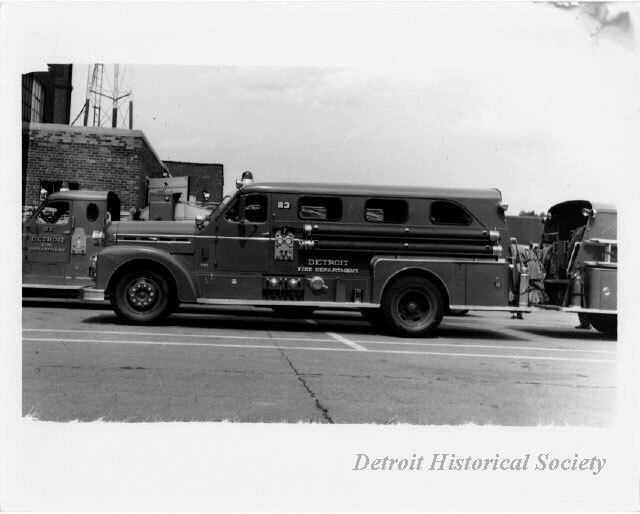 23 Seagrave sedan pumper, numbered 824, in profile, parked at the Detroit Fire Department Training Academy. Behind it, a Ladder Company No. 27 Seagraves ladder truck is parked. Circa 1937.